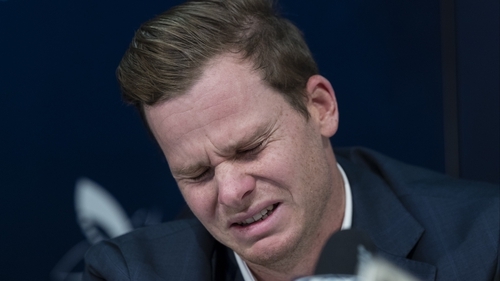 Smith confessed that the team's 'leadership group' hatched a plan to tamper with the ball during the third test against South Africa in Cape Town. Opening batsman Bancroft was caught on camera placing sticky yellow tape, which he used to pick up rough granules off the pitch, into the front of his trousers when he believed he had been spotted by the umpires. Australia begin their World Cup against Afghanistan in Bristol on 1 June.